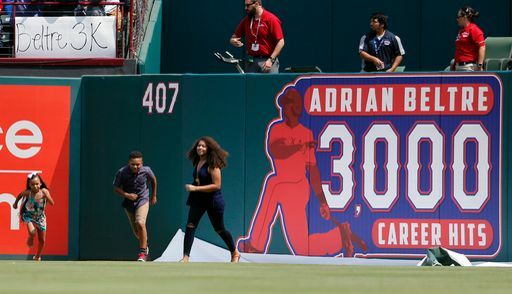 Today in Arlington under the sun, Adrian Beltre became the 31st member in baseball to join the 3,000-hit club. The game didn’t go the way the Rangers probably hoped, in that they got bombed and lost 10-6 to the Orioles who are kind of just playing out the string for the time being. Also important to note: Adrian Beltre is the first Dominican Republic born player to ever reach 3,000 hits. ← Previous Story Wait, Adrian Beltre has 2,999 career hits?